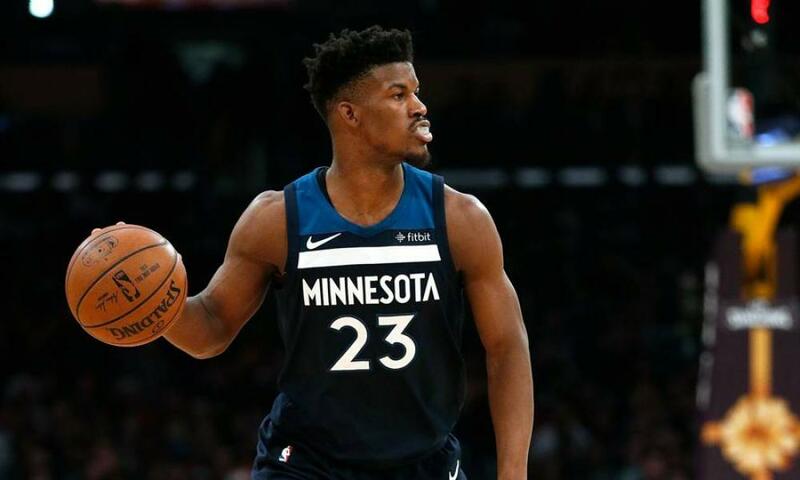 Through the first 11 games of the season, the Minnesota Timberwolves have continued to have the cloud of All-Star forward Jimmy Butler’s future with the franchise. Following Monday’s loss to the L.A. Clippers, Butler decided to stay on the same route of deflecting questions concerning his fate with the team, according to Baxter Holmes of ESPN. It is clear that Butler wants to push his way out of the Timberwolves. It’s something that he has made more evidently clear as the season has rolled along. He has had full control of the situation with him even sitting out a game that could include even missing Wednesday’s tilt on the road against the Los Angeles Lakers. Despite all of this outside noise that he has seemingly created, Butler has been able to continue to play at a high level averaging 22.0 points on 48.8 shooting from the floor and 34.3 percent from beyond the arc along with 4.9 rebounds, and 3.8 assists in eight games played. Ultimately, this is a situation that should at some point resolve itself this season.